What's The Current Time in Jamaica? Can I be brutally honest with you? Of all the topics I wrote about on this website, the two I found most intriguing initially were these, this one about Jamaican time and the other about where is Jamaica. I really never thought about writing on them - especially the one about where is Jamaica, it never really occured to me that someone would go to Google and type that in. 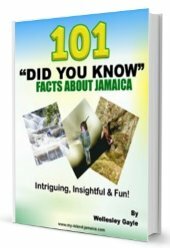 I'm telling you I've learned so much, not just about Jamaica since I started this website, but also a lot about our visitors who come in records- every year. OK... away with the babble. 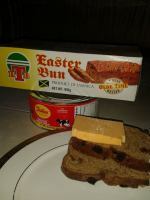 We observe Eastern Standard time here in Jamaica - all year. This is the same timezone that is observed in North America. Basically, the same way we have no autumn, spring, summer nor winter, is the same way we have no daylight savings - or anything like that. We are actually on the same time schedule as the east coast of the United States - except during the period of daylight - saving time for them. Then, we are one (1) hour behind those eastern States of the US. However, for most North American travelers, the time difference is not a major change. In fact, if you are coming from say, Florida to Jamaica, the flight time is no more than about an hour and 30 minutes! If you are familiar with, or observe Greenwich Meridian Time (GMT), like my grandfather did in London, then we are five (5) hours behind you. In relation to our eastern Caribbean sister countries, for example, Antigua, Barbados and Grenada, we are always 1 hour behind them. Thanks to World Time Server, here is live clock showing Jamaica's time in real time! Andy by the way, if you are planning to come to Jamaica soon, you can also get information here on getting to Jamaica, as well as insight on how to get around in Jamaica while you are here.